Connect any surface, object or space to the digital world! 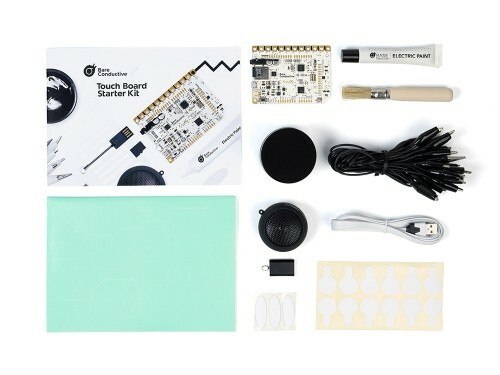 The Touch Board Starter Kit contains everything you need to transform your environment by turning surfaces, objects or spaces into sensors. It comes ready to plug and play, and is supported by a growing range of tutorials, visual guides, and project examples online. 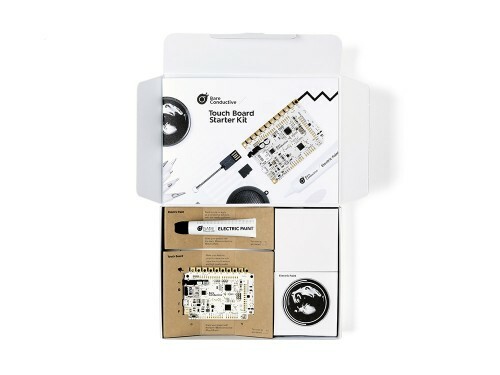 Whether you’re an absolute beginner, a programming pro or looking for a great gift for a tinkerer, this kit will let you start making your projects interactive in no time. In this box you’ll find a Touch Board, Electric Paint, essential components and a Guidebook featuring a range of project ideas and inspiration. Follow the Guidebook’s step-by-step instructions to create three featured projects that turn touch into sound using the contents provided. The Touch Board is pre programmed to trigger MP3 tracks so no programming or electronics experience is required. 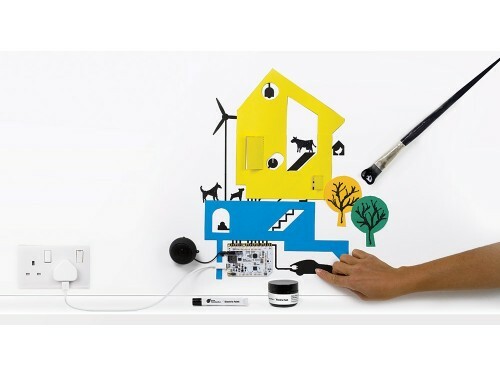 Make an interactive wall graphic using the Touch Board and Electric Paint. Follow the instructions to add personal stories and sounds to any image. 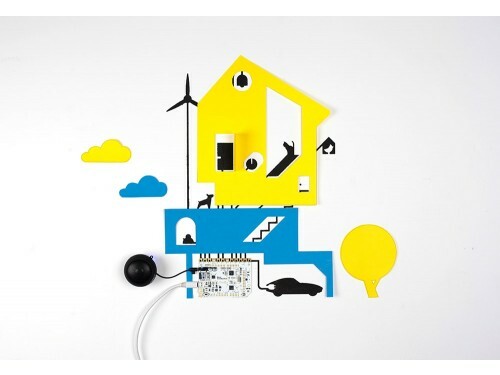 Bedtime stories will never be the same once you’ve painted this engaging interface on your wall!